1 Crush 2 of the garlic cloves into a small bowl; add the finely chopped thyme and stir to incorporate. Rub lightly over each side of each lamb chop, season with salt. 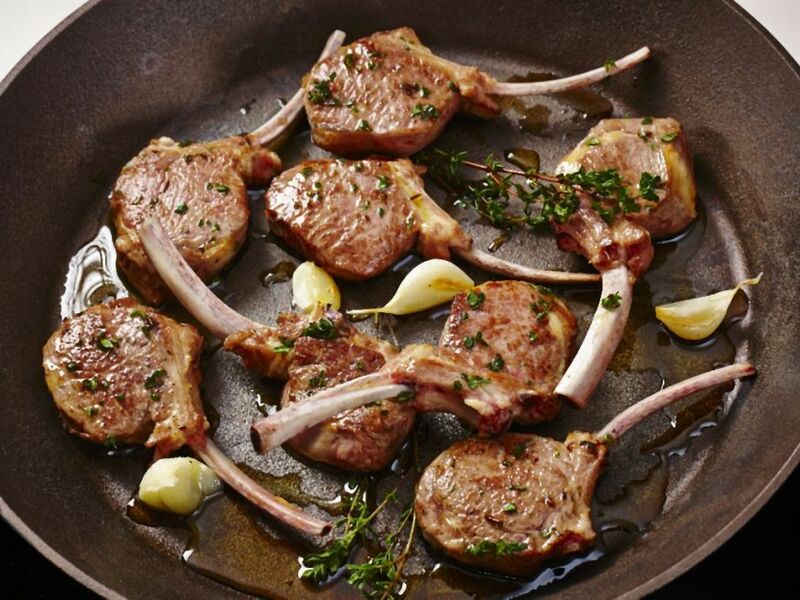 Arrange lamb chops on a plate or tray, cover and refrigerate for at least 1 hour or up to 3 hours. 2 Heat the oil in a heavy-bottomed skillet over medium heat. Add the chops, remaining garlic cloves and a few sprigs of thyme to the skillet, season to taste with freshly cracked pepper. Cook to desired doneness, about 3 minutes per side for medium-rare. Lamb should not be over cooked. 3 Transfer to a serving platter and serve.